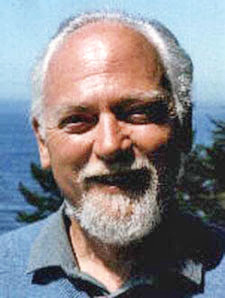 Eric Wagner, who trained for the Jeopardy quiz show by becoming an expert on Robert Anton Wilson. 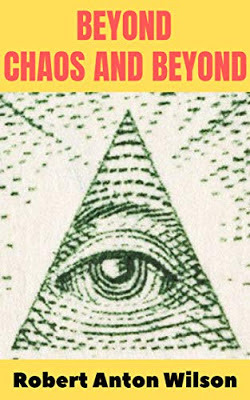 Illuminatus! 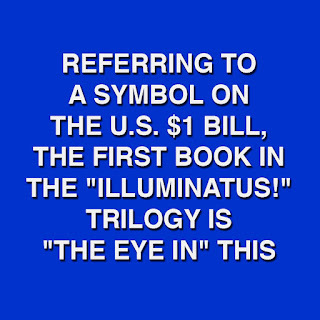 question on Jeopardy. "Pyramid," of course. Hat tips, Bobby Campbell (who kindly made the graphic that I used to illustrate this blog post) and Michael Johnson. 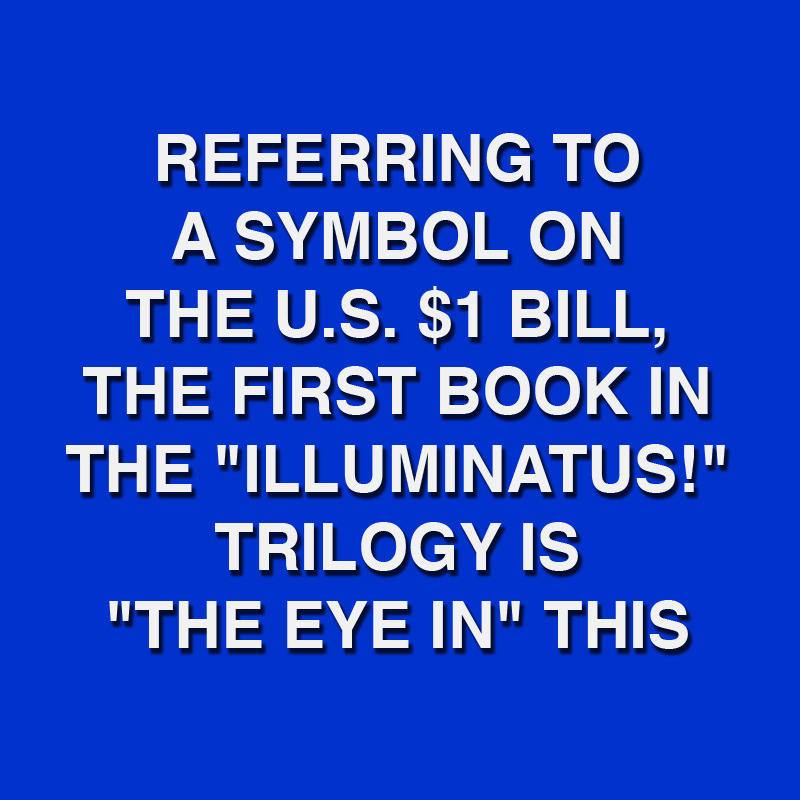 Speaking of Jeopardy!, I can now offer definitive evidence that reading the works of Robert Anton Wilson makes you smart. How smart? Smart enough to win a quiz show! We know Jeopardy champ Eric Wagner as the author of An Insider's Guide to Robert Anton Wilson, but he's also a guy who walked away with $12,001 as a Jeopardy champion. The Jeopardy archive identifies Eric as "a high school English teacher from Corona, California." Eric won on Nov. 30, 1999, but lost on the next show, probably to another RAW fan. I wish I could see the shows. 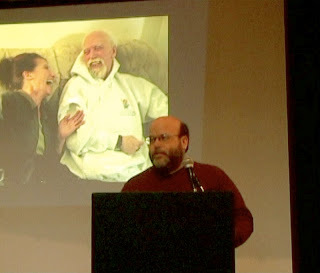 I got to talk on air about E-Prime and Aleister Crowley. I never realized all the games were online like this...cool. i wouldnèt get past the buzzer training!